Internet scams that lock your computer are nasty bits of malware called ransomware.They infect your computer and capture all your personal data. They go through your computer and slow or cripple the functions, until you are unable to access your data. These programs are installed without the owners permission and encrypt you personal data. Then, they demand ransom to save your data from deletion.These internet scams that lock your computer, are becoming more and more frequent. One of the most significant and recent ransomware programs was CryptoWall. CryptoWall and variations, have been used since 2014 to attack U.S. victims and extort ransom fees ranging from $200-$10,000 according to the FBI-IC3 unit. Costs in losses amounted to over 18 million from April 2014 to June 2015.However, in the first 9 months of 2015, global losses from CryptoWall variants has been estimated at 325 million.Criminals are finding ways to make the programs more and more sophisticated. Sometimes this program will tell you that you have broken the law somehow. It may tell you the FBI is confiscating your computer and files contained in it. Then, the access to your computer is denied unless you pay some sort of a ransom. The accusations may be fake, but the denied access and ransom is very real. Many times cyber criminals use bitcoins as the payment method. They are easy to use and publicly available. A common ransom is one bitcoin, recently valued at $928. In most cases, once the ransom is paid, victims regain access to their files. But, the problem is, they can do it again and again. So, payment it is not recommended. And unfortunately, unless you pay, you will likely lose your files, and possibly you entire computer. This is exactly why you must back up your files and store them outside your computer. How do Internet Scams That Lock Your Computer Get In? 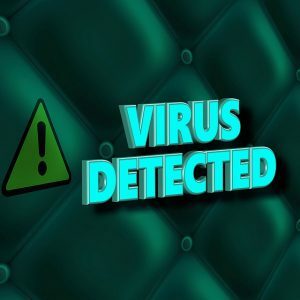 In most cases it has to be a malware infection that causes your computer to lock up.Whether it is a virus or a worm, your access has been compromised. It is installed on your computer, simply by visiting an infected website, downloading software, opening an attachment or clicking a link. There are several types and classifications of “malicious software” or malware.Some simply pose a greater threat than others.Depending upon how the malware is capable of affecting the computer, puts each threat into a different category.For instance if it affects you email program, it is a much higher threat than affecting your spooling on your printer. The most dangerous malware threat is the worm. Once it is in your system, it can infect and replicate without any host file or intervention by the user. They usually invade a computer by a download or network connection by visiting a website. Inside e-mail programs, they can replicate and attach to emails and infect many more computers that are not properly protected. This is exactly how the cyber criminals become successful in invading computers. They do it without your knowledge or consent. These worms can spread very rapidly and infect many computers very quickly. Viruses on the other hand need a host file opened or activated. Also,viruses can start to replicate themselves by an actual click on a special link, .They are also capable of being extremely high threats and can do significant damage to files and your computer itself. Disrupt you computers ability to function. Worms and viruses are usually spread by email attachments,or file sharing and also infected websites. They remain dormant until activated by opening the file or attachment. This is how the criminal extorts his money from the victim. When victims click on infected pop-up or visit infected websites, the virus or worm is picked up. If you think you are a victim of one of these crimes, contact the FBI-IC3 and file a report. How do You Protect Yourself Against Malware Infections? Always use a quality antivirus/anti-malware software and firewall. Keep it updated regularly. Enable pop-up Blockers. Criminals like to use pop-ups to spread their viruses. Back up content on your computer. Back ups protect your files and you won’t need to pay ransom to get them back. Be skeptical of attachments and e-mails. Don’t open attachments, or click on links you don’t know. Unfortunately, mobile devices are also vulnerable to security threats. In fact, according to a survey conducted by Kaspersky Lab and Interpol between August 2013 and July 2014, one out of five Android devices protected by Kaspersky Lab products was attacked by malware at least once during the reporting period. Because the devices are constantly connected to the internet, browser exploits and phishing scams are common. Users visiting infected websites, and receiving infected texts and emails, run the risk of infecting their devices with malware. Social networks also trick users into giving their personal data. Mobile apps can also be “malicious apps” and used criminally to obtain data. Apps can take control of your phone and illegally produce false charges on your phone. Adware can also use the apps installed to create ads and revenue for the creator. For more information on mobile apps and how they work, read my article on How Mobile Apps Make Money. The Android operating system has over 70% of the market share. This make it a prime target for thieves. It is also a very open program, and apps are easy to create. Malware threats are being found in the app stores. Malicious programs have been detected in apps from Google Play, the Amazon app store and other third party app stores. Banks require one time passwords, or send authorization codes to the device for security. However, criminals have developed programs that can bypass these security measures as well. Zbot programs steal the username and password. 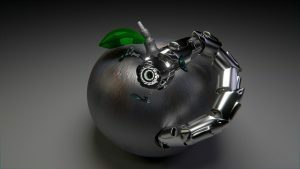 Then, during transfer of funds, the Zbot takes over and sends the money to the cyber criminals. Always lock your phone – use passwords to protect your data and keep crooks out. Check the information that apps are requesting before authorizing them. Use an anti-malware program on your phone. Encrypt your data if your phone is capable of encryption. Do not jailbreak your phone – This opens your phone to intrusions. Turn off Bluetooth when you are not using it – you are vulnerable when it is left on. Choose a smartphone security with anti-theft features – Some allow you to remote access your phone to lock it, delete data, and even reveal its location. 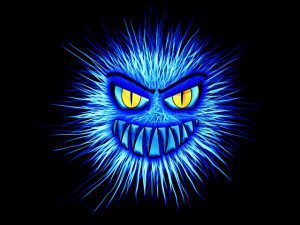 Don’t allow these programs to infect your PC or your mobile devices. Always be aware of putting yourself at risk. Always type the url of a link in manually, don’t just click on it. The anti-viral software can then scan where you are headed too. Remain skeptical always! I hope you have enjoyed reading my article, and I welcome all comments. Thanks for reading! Do you want to learn how to live the life of your dreams? Read your article and I can’t believe how much I can be a target of such actions just like that, grateful for the info and will continue to come on for more enlightening. The fact that I’m new to online marketing, I’m constantly looking out for ways to be safe online, so yes definitely coming back. We always have to have our guard up, and keep our computers protected. Knowing about all the scams out there helps to keep us safe. I hope my articles continue to help you. Thanks for taking the time to leave a comment. This is a very informative article, I’m somewhat familiar with computer viruses. However, I have never heard of internet scams that lock your computer and demand ransom, that’s crazy. It’s amazing how far computer hackers have come. You stated: “Always type the url of a link in manually, donâ€™t just click on it.” I did not know that I just learned something new. It is nasty stuff. The main point is always back up you data and store it outside your computer. Then you don’t end up paying ransom. The problem is they will keep coming back if you pay once. I personally ran into a scam computer clean up, and they were demanding I take their $30 a month plan to keep my computer clean. They messed up the program files, and made it clear they could control my computer. I got lucky. I had to pay microsoft $100 to get things straightened out. Thanks for stopping by and leaving a comment. Thanks again! Glad you found the article informative!I hope I can continue to be helpful.